One of the most difficult questions to answer is one of the simplest: How was it? How was school? How was your date? How was your trip? How was the movie? Those answers don’t tell you much, but everyone uses them! 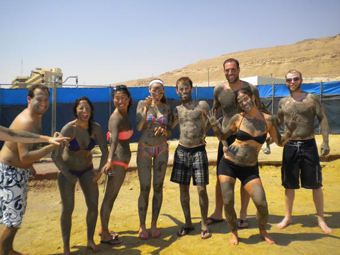 In thinking about answering this question, I thought it might be helpful to read the blogs that participants wrote while on a Taglit-Birthright Israel: Shorashim trip. While truthfully, the blogs were a vehicle to keep parents and family informed of the trip-goers’ happenings, they have become one of the best insights into how an individual actually feels about his or her experiences on the trip. 1. There is a pocket in the pit of your stomach you may not know you have. It lies somewhere off the large intestine, a small cavern in which remnants of last night’s dinner tie knots with nerves. This is the spot you feel first when you wake up at 3:30 in the morning. This is the pocket that tightens when you try to force cake down your throat when you know you’re not hungry. It is covered with a flap. If Jerusalem is the heart of Israel, then Masada is this pocket in the pit of your stomach. 2. Early this morning we ate breakfast together and took the bus to the Jilaboon hiking trail where we scrambled over rocks and lent a hand to one another to cross the many streams we encountered. Our goal: the Devora waterfall and pool was worth the wait. It was delectably refreshing to dive into the icy water and splash around under the waterfall. Israeli families and groups of friends were also at the pool and swam around us inquiring where we were from and wishing us a good visit to Israel. Iftak (Israeli tour educator) called us out of the water for at least ten minutes before we got out. Then we all trekked back up the steep trail to our bus. 3. After a quick breakfast we hopped on bus 144 and headed to that brilliant body of water we’d been ogling from the bus…The Dead Sea. The Dead Sea is the saltiest body of water on earth and also the lowest point below sea level. Upon plunging into the water, we were delighted to discover that all the rumors we’ve heard are true. You can float with no effort and even do synchronized swimming moves on the surface of the water with ease. We all took advantage of the excellent exfoliation options at the sea by slathering up in some bona fide Dead Sea mud, baking in the sun and hopping in the water and rinsing off to reveal the softest, smoothest skin we’ve ever had. 4. We spent the next few hours exploring the Old City inching our way closer to the Western Wall. Once there, we each had a very personal reaction to being so close to this historical monument that we’ve all heard and been taught so much about. For many of us, it truly hit that we were really here. We are beginning to feel that intangible feeling that all those who’ve been to Israel express. Next, we went to Machne Yehuda, Jerusalem’s largest market. We knocked elbows with locals buying supplies for Shabbat. Smells of spices filled the air as merchants called out to potential clients. We, too, left the market to prepare for Shabbat. Many of us went to Shabbat services which was a unique experience. We will all relish these incredible experiences connecting to our Jewish faith and identity. 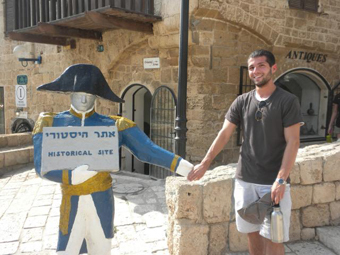 History in Tel Aviv and Shabbas in Jerusalem! 5. In this cemetery boys and girls are no longer soldiers. Sons, daughters, athletes, future activists scholars and professionals, friends and loved ones lie within sandy stone caskets, plants and flowers blanket each grave, perhaps a photo of a smiling young man or woman. 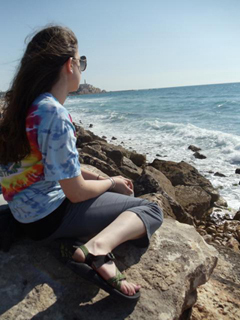 Whether or not we let these ten days in, Birthright will shake us up. Har Herzl was that moment for me. Bus 140 -- Har Herzel and a visit to the Shuk! 6. This trip far exceeded my expectations. I was convinced that Israel would be a desert where everyone rode camels and dressed like Moses. But it is not. 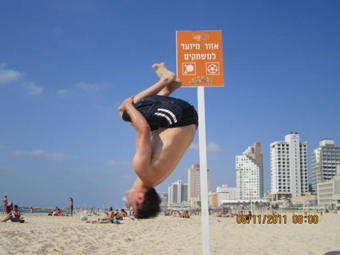 Israel is a nation of contradictions and an incredibly diverse population. 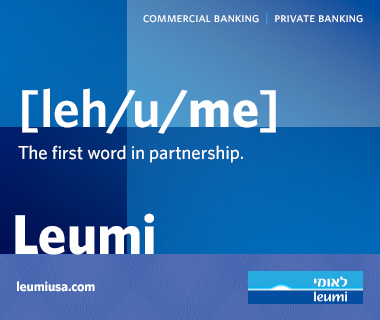 And it is in the Jewish homeland that I have experienced so many differences, places, sights, smells, tastes and sounds. I have made an amazing group of friends and I cannot and will not forget the memories I have made nor the feeling I get when I think about Israel. This has been the most meaningful and invaluable experience in terms of my Judaism, my college experience, and my life. 7. It was interesting to see how Israelis learn about their own culture starting at such a young age, and the pride they have for their country. After this long day, we headed back to the Kibbutz for a long shower and dinner. We also had some more group activities and finally know everyone’s name! Israel so far is one of the most beautiful places we’ve ever seen and we can’t wait to make a deeper connection with the country as the trip continues. 8. We are excited to have most of our community back together to continue our journey together back home in Chicago, exploring and developing our Jewish identities and connections to Israel and one another. 9. Although this program (a community center in Kiryat Gat, Chicago’s Partnership City) has grown tremendously in the last eleven years, it still needs constant support and help. It is going to be my goal upon my return to the Chicago area to get involved to do my part in supporting this amazing program. Although this day was the hardest one emotionally for all of us on bus 153, it helped us understand where we can from, what we’ve been through, and what we can do in the future to impact young Jewish lives. 10. It didn't really matter that I wasn't that religious, all that mattered was me, my note, and the wall. I found a spot, put it in, and backed up slowly. After, I felt a kind of peace that only comes from a very spiritual experience. Jerusalem was absolutely beautiful and I know one day I will go back to the old city. 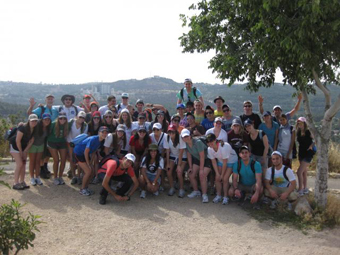 Do you know someone who is eligible for a Taglit-Birthright Israel trip? Tell them to register on Sept. 14 at www.israelwithisraelis.com. For the best chance of getting on a trip, registrants must apply and submit a $250 refundable deposit on the first day of registration.